I’m going to take a wee break from castles – just this week, don’t worry! – and instead talk about an abbey. Few passages from history are as defiant, stirring, and emboldened as this iconic line, which many Scots can still recite on the spot. 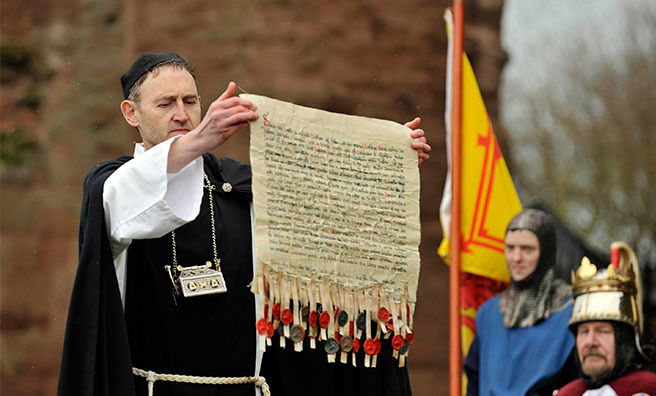 It’s not from Braveheart, but from the Declaration of Arbroath, a diplomatic appeal by the Scots nobility to Pope John XXII signed on 6 April 1320. It was sent in dire times indeed. Though the army of Edward II had been obliterated at Bannockburn six years prior, the odds were still stacked against the Scots. Edward refused to accept Robert Bruce’s offers of peace, and the Pope had recently threatened all of Scotland – not just its leaders but every soul in the nation – with the dreaded judgement of excommunication. 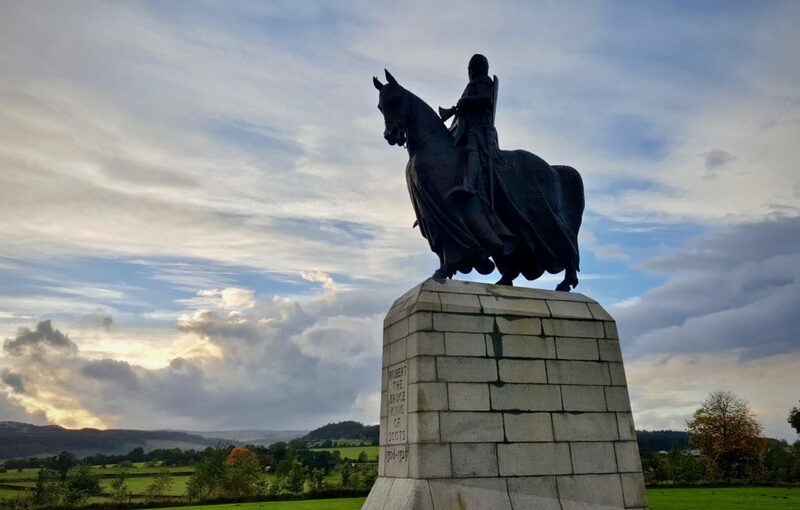 Robert Bruce, who had already suffered and lost more than most can imagine, could stomach this latest blow – but could Scotland itself? Within this context, the famous line quoted above plays second fiddle to what comes next. As rousing as the above line may be, it holds no greater significance than to stir the passions. It is the next line that many scholars now argue changed the world. In the year 1320, almost 500 years before the American Declaration of Independence and the French Revolution, the Scots effectively declared that a ruler was only as good as their service to the people. 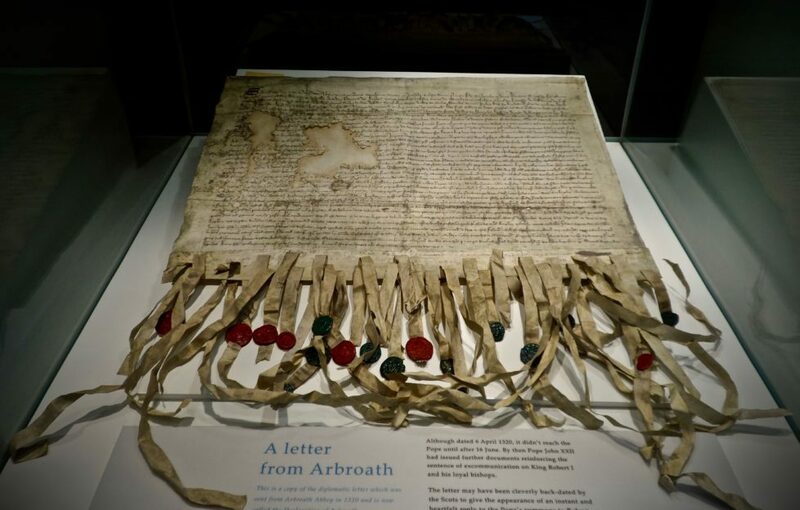 While it is certainly anachronistic to say that there were a bunch of avowed democrats running around medieval Scotland, it’s entirely feasible to argue that the Declaration of Arbroath is one of the most important documents in the history of socio-political discourse. Eighteen years earlier William Lamberton, the Bishop of St Andrews, was vexed by the puppet status of the King of Scots, John Balliol. Balliol was but a pawn in the English king Edward Longshanks’ deadly game. The radicalism of the Declaration came out of Lamberton’s perceived necessity. He sought out the renowned Scottish philosopher Duns Scotus, who was living in Paris. Scotus argued that a king’s true authority comes not from the shiny metal circle on their head or the blood in their veins, but from the consent of their subjects. To an extent this was a political manoeuvre meant to give weak-willed Balliol the boot and justify Robert Bruce’s claim to the throne. This claim would later be forged through bloodshed rather than philosophy. Still, the impact of this idea continues to reverberate today. Influence over the American Declaration? Perhaps one third of the signatories of the American Declaration of Independence were of Scottish descent. Thomas Jefferson, who drafted it, even shared ancestry with Robert Bruce – both were descended from Malcolm III of Scotland. Many of the signatories were also educated by Scots who heralded the Declaration of Arbroath as a sort of surrogate Scottish constitution. Its words proclaiming the sanctity of life and liberty were known to other signatories of Scottish blood such as Alexander Hamilton and East Lothian native John Witherspoon, so it would be fair to say the Declaration of Arbroath had more than a little influence on the forming of the United States. The Declaration saw Robert the Bruce crowned King of Scots. 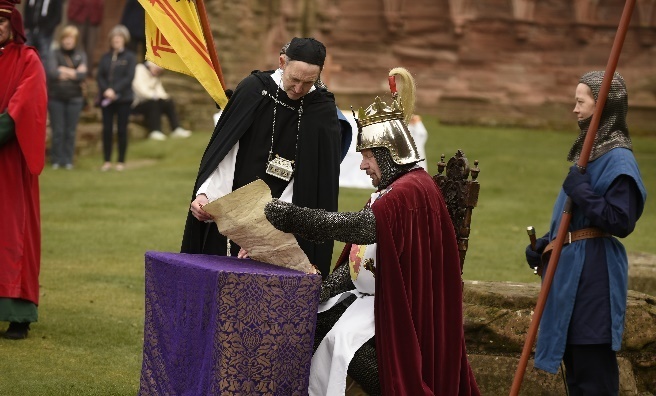 The Declaration of Arbroath gets its name from the place where it was written, Arbroath Abbey. Now a magnificent ruin, the building still makes for a fascinating visit. A copy of the Declaration can be viewed within, the seals of its signatories attached to the weathered parchment like tear-away tabs on a missing cat poster. Ragtag though it may appear, we have every reason to afford the Declaration of Arbroath at least as much respect and significance as the earlier and much more widely known Magna Carta. 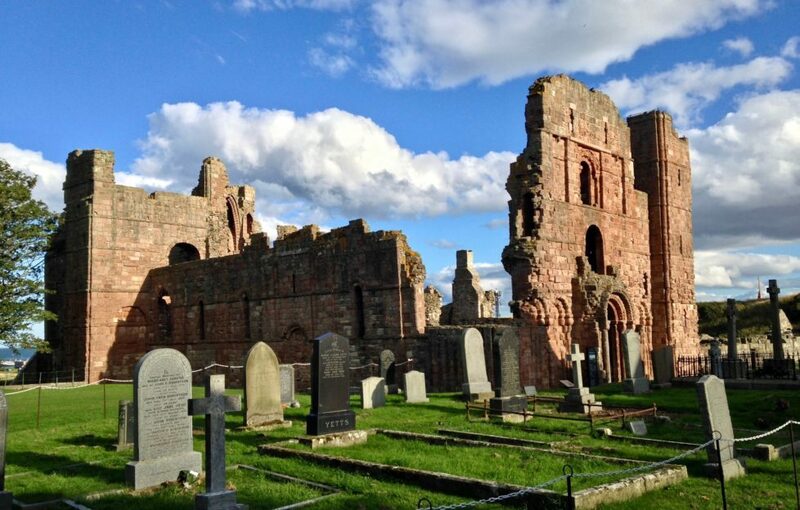 Click here for Arbroath Abbey visiting times and prices.